Flashback GPS is the leading passive tracker on the market, accurately recording a automobile’s route, speed, direction, and driving time. 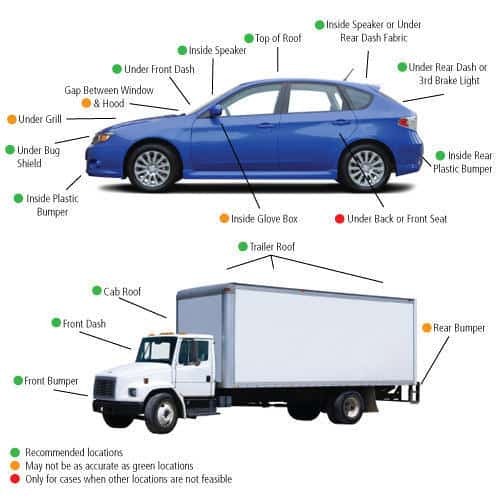 Designed to assist delivery and trucking companies, Flashback GPS Car Tracker can record up to 50 hours of driving data on a single charge while providing an accurate GPS location within 6′ of the tracker! The car tracking unit is also very popular among parent’s who want to be sure their teenage sons/daughters are driving safely. 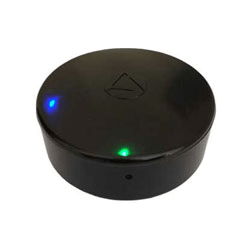 With a compact design, the car tracker can be discreetly placed in a automobile or under its hood and the GPS tracking data can be reviewed at the culmination of the trip. What makes this car tracker the most popular passive device on the market is that it is rated as the most user-friendly vehicle tracking solution with its plug and play format. Not to mention, the car tracking device is backed by award-winning technical support that is based in the United States and available 24/7 for FREE! 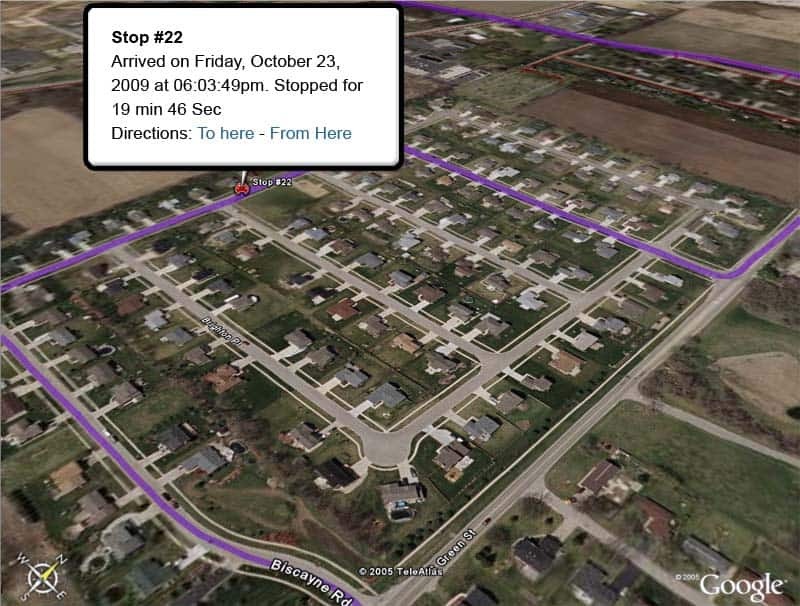 How Easy Is The Flashback Car Tracker To Use? Simply plug the Flashback into a computer via the USB port and then view the recorded historical driving information using the Flashback cloud-based software! The GPS car tracker is housed in a waterproof enclosure designed to protect it against harsh weather conditions, making it safe to place on the outside of any truck or automobile! Why This GPS Car Tracker Is For You! Flashback GPS is the only tracker on the market that will record a vehicle’s position every single second, store up to 50 hours of wheels-in-motion drive time, document speeds traveled+addresses and so much more! With a waterproof design and no monthly service fees it is easy to see why the Flashback GPS car tracker is used among law enforcement agencies, Fortune 500 businesses and concerned parents all across the United States! Flashback GPS car tracker has a GLOBAL FOOTPRINT so it can work anywhere in the world! International orders are welcomed! Those interested in learning more about Flashback GPS or any of the other data loggers offered at GPS Tracker Shop can call and speak to a sales representative any time at 951-704-9503. Those interested in real-time GPS car tracking can visit our live GPS tracker product line! How Big Is Flashback GPS Tracker? How Long Does The Battery Last On Flashback GPS Device? It is important to note that when attached to a vehicle or asset that is not moving the Flashback GPS device will fall into a hibernation mode to help extend battery life for as long as possible. Flashback GPS trackers, when operating continuously without stops, will provide approximately 60 hours worth of vehicle tracking data. With the average American motorist driving roughly 1-2 hours per day, Flashback users can expect roughly a month or two of GPS tracking data. Does Flashback GPS Work With Mac Computers? Flashback GPS trackers work with both PC and Mac operating systems giving anybody access to the latest in GPS data logger technology. What Type Of Info Does Flashback GPS Provide? 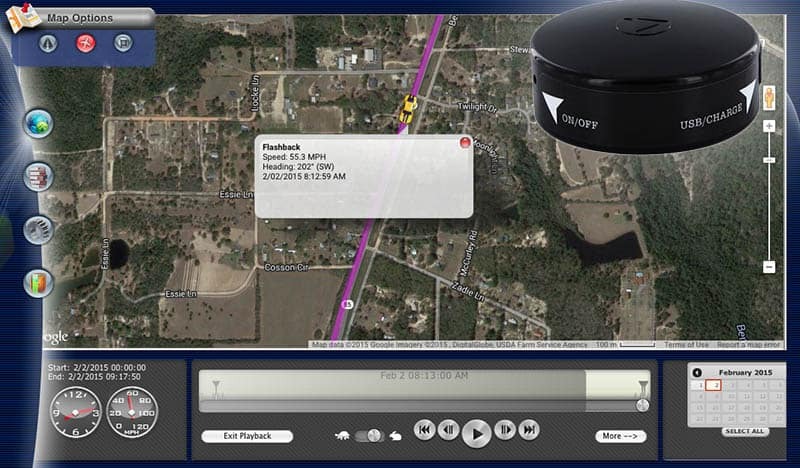 Using the latest in online mapping software, Flashback GPS trackers will provide detailed information about mileage driven, stops made, addresses a person arrived or departed and more. Who Would Use A Flashback GPS Tracking System? 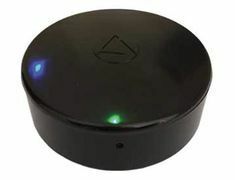 Anyone seeking a personal, vehicle or asset management solution could be a potential user of a Flashback GPS tracker. Groups commonly associated with purchasing Flashback GPS devices include parents of teenage drivers, police departments, businesses with automotive fleets and outdoor adventurists. Does Flashback GPS Tracker Provide Real-Time Info? Flashback GPS devices are classified as passive systems or GPS data loggers.Therefore, Flashback GPS units can NOT offer real-time locational data. However, there are other solutions available we recommend for those seeking a live tracking device. One such device is SilverCloud GPS. What Type Of Battery Does Flashback GPS Tracker Use? 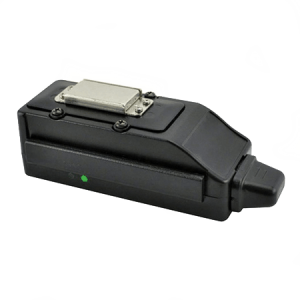 Flashback GPS devices use rechargeable Lithium-Ion batteries which are included with every purchase of GPS tracker. How Strong Is The Magnet On Flashback Tracking Device? Flashback GPS trackers call upon the strongest rare earth magnets to offer the most secure attachment options available. The rare earth magnets have held secure in numerous off-road testing scenarios, as well as testing in tough elemental conditions. This is why Flashback GPS tracking devices are routinely called upon by law enforcement, government agencies and police departments all across the United States. How Fast Can I Receive My Flashback GPS Tracker If I Place An Order Today? Those looking to invest in Flashback GPS tracking technology can select FedEx Ground, 2nd Day Air or Next Day Delivery as the shipping method when ordering. However, representatives are standing by at all times to assist if a more unique shipping option needs to be utilized. 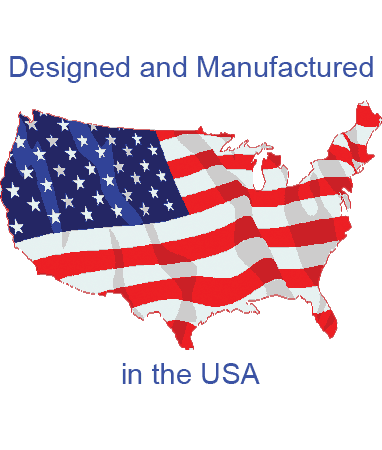 This includes Saturday delivery, international delivery or delivery using a different shipping carrier such as USPS. Please note that all orders sent via FedEx will require a signature. Is Flashback GPS Tracking System Backed With A Warranty? Every Flashback GPS device is fully covered with a one-year manufacturer’s warranty as well free technical assistance for the life of the GPS tracker by the dedicated technicians at LandAirSea System. Technical support is available 24/7 to those with questions about their GPS tracking device.